Want to see the Northern Lights without dealing with the dark and the cold? 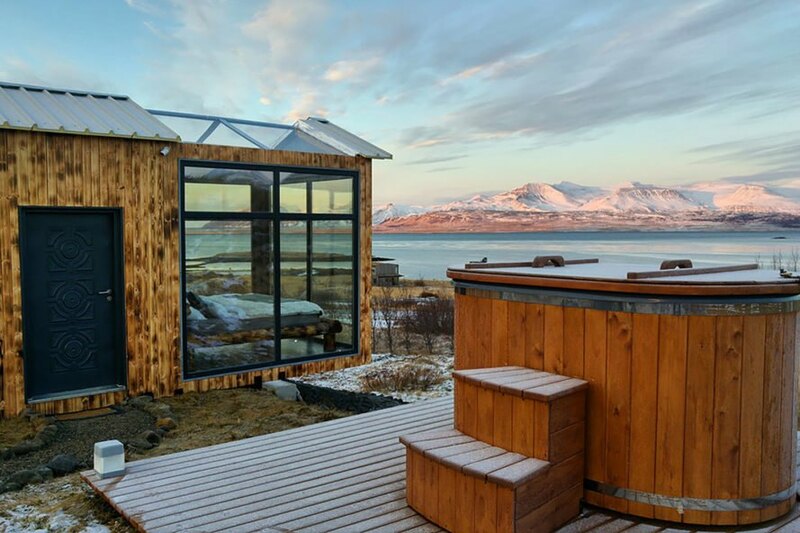 With this luxury glass cabin in Iceland, you can now do just that. 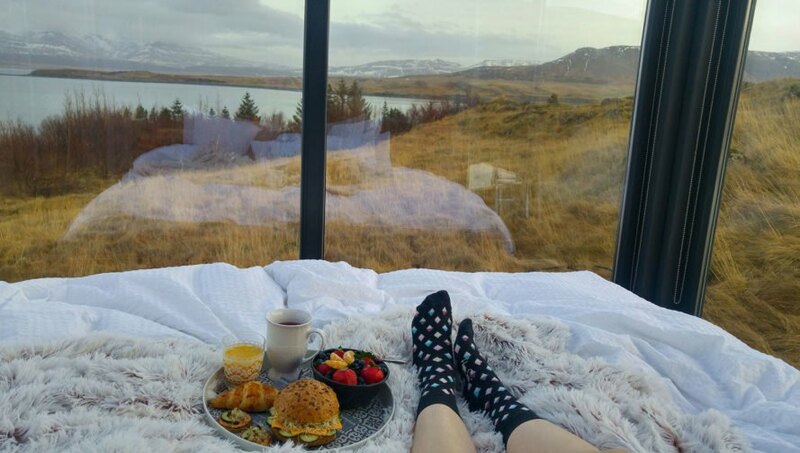 The Panorama Glass Lodge lets you enjoy views of the Northern Lights and amazing sunsets from the comfort of your bed. The front of the cabin, which is encased entirely in glass, exposes its visitors to the natural spectacle of its remote location even as the building itself provides the amenities of a cozy home for two. 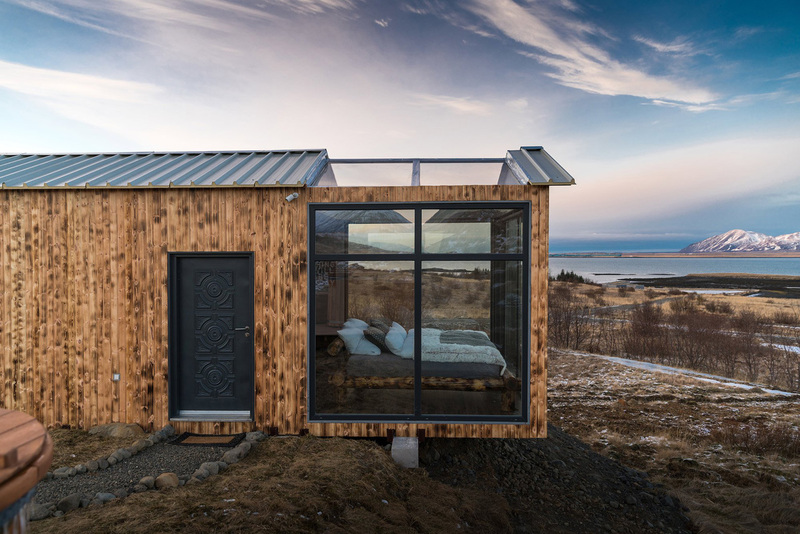 The house is a 30-minute drive from Reykjavik and sits near the shores of the Greenland Sea. As a family-owned property available for rent, it affords full privacy to its guests while offering panoramic views of the amazing natural surroundings. The cabin includes a small kitchen, a dining area, a large bed, a rainforest shower in the bathroom and a cozy hot tub on the outside patio. 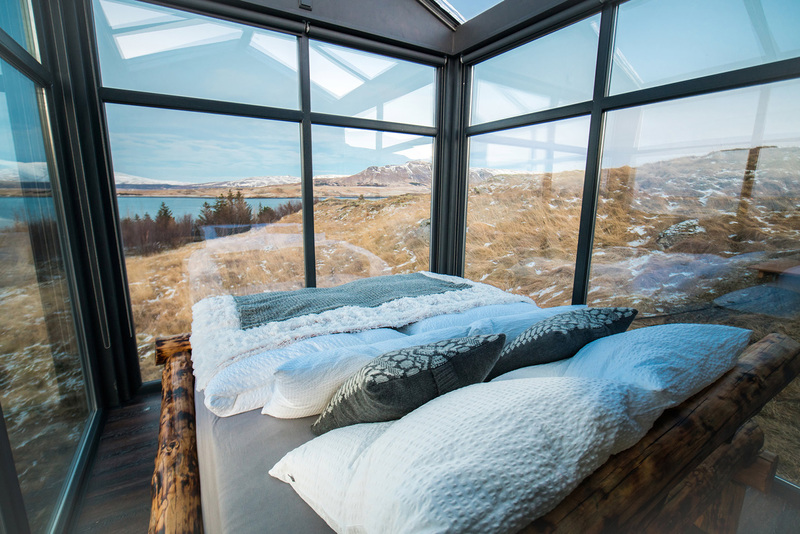 Glass panels surround the sleeping area, and a glass roof allows visitors to see the night sky while lying in bed. This part of the house extends from the central timber section and brings natural light into the entire interior. 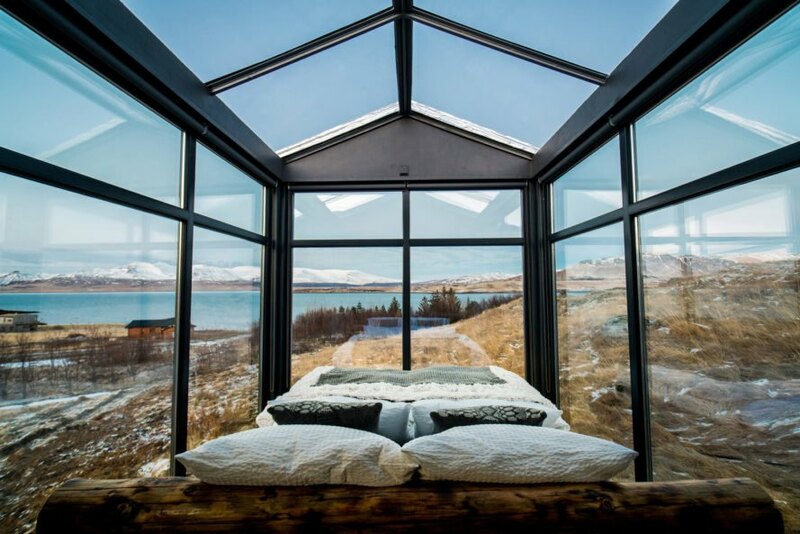 A glass roof allows visitors to see the night sky while lying in bed. 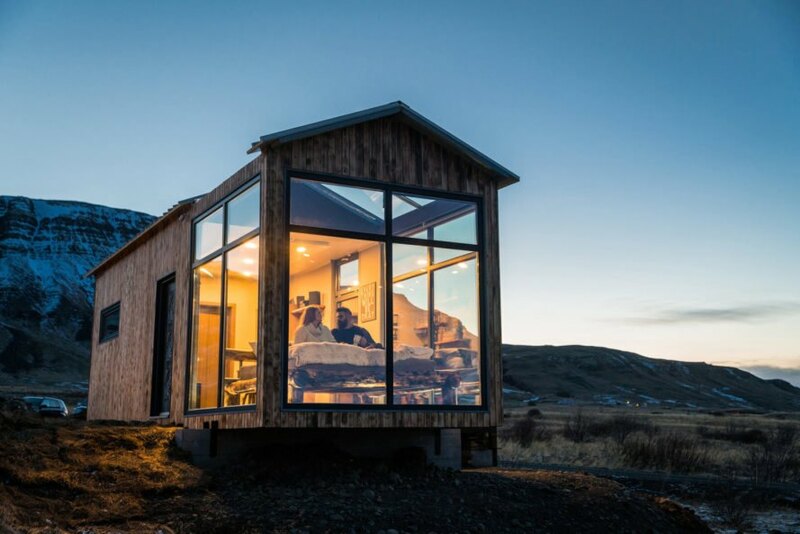 The Panorama Glass Lodge lets you enjoy views of the Northern Lights and amazing sunsets from the comfort of your bed. 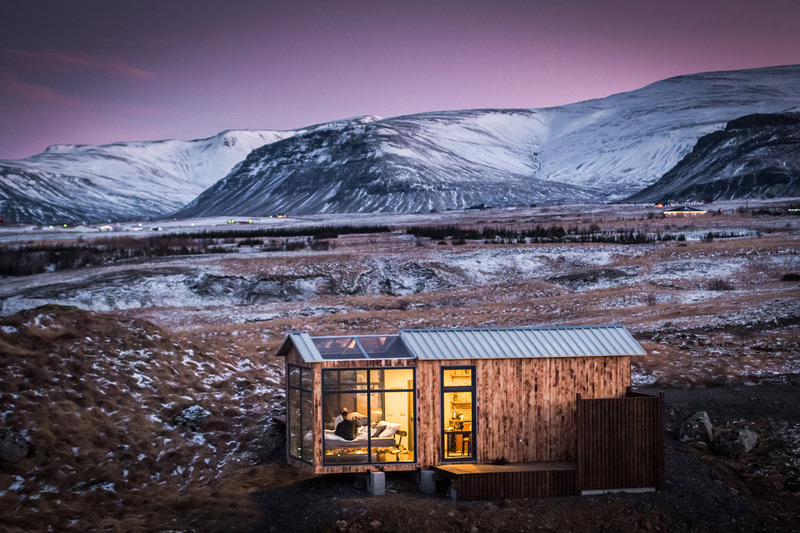 he front of the cabin, which is encased entirely in glass, exposes its visitors to the natural spectacle of its remote location even as the building itself provides the amenities of a cozy home for two. A family-owned property available for rent, it affords full privacy to its guests while offering panoramic views of the amazing natural surroundings. The cabin also features a small, fully equipped kitchen (with two electrical stoves, a toaster, a water heater and a fridge), a dining table, a large bed, a bathroom equipped with rainforest shower, and a luxury two-person outdoor hot tub located right next to the lodge. Glass panels surround the sleeping area. This part of the house extends from the central timber section and brings natural light into the entire interior.